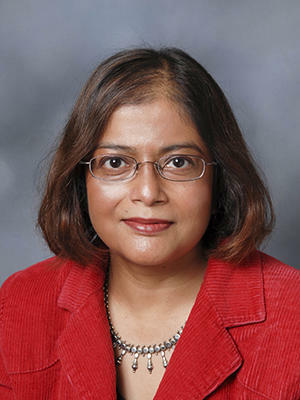 The American Astronomical Society’s Solar Physics Division has awarded the 2018 George Ellery Hale Prize to Department of Astronomy professor and chair Sarbani Basu. Basu studies the Sun using solar oscillations, or quakes. Just as seismologists use earthquake date to study what happens in the interior of the Earth, Basu has used quakes to determine the structure and dynamics of solar interior — the part of the Sun that is hidden from view. Basu will receive the honor and deliver a lecture at the joint SPD/AGU-SPA Triennial Earth-Sun Summit in May. The American Astronomical Society, established in 1899, is the major organization of professional astronomers in North America. Its membership also includes physicists, mathematicians, geologists, engineers, and others whose research interests lie within the broad spectrum of subjects now comprising contemporary astronomy.